The position of the Turkish government on Jerusalem is very critical and has made an impact on the world stage with the U.N. vote. Certainly, the Turkish effort can be further strengthened by adopting a robust domestic and international Boycott, Divestment and Sanctions (BDS) strategy in affirmation of Palestinian civil society’s call for this specific form of solidarity. Turkey’s adoption of the BDS movement call has a far-reaching impact on the Palestinian struggle for self-determination, sovereignty over Jerusalem and the right of return, to name just a few. However, and just as critical, adopting the BDS can provide a growth opportunity for Turkish products and economy if alternatives for Israeli items are promoted from the local production both on the domestic and international markets. The success of the BDS movement is often connected to strategic identification of alternative and viable products in local markets that can make consumers switch more easily and to the broader domestic market. In my opinion, the BDS is an important strategic tool to be used to support the Palestinian struggle first and then strengthening local indigenous economies. What the impacts of such a move are and why they appear will be discussed further below, but it is the right time and decision to adopt this approach at state and Organisation of Islamic Cooperation (OIC) levels. Let me say that it has become abundantly clear to all that both the United States and Israel have no interest whatsoever to recognize any aspects of the rights of Palestinians (self-determination, the right of return, freedom and sovereignty). Trump’s announcement regarding Jerusalem is the straw that must break the camel’s back, the so-called “peace process” camel, which boiled down to an Israeli occupation by means of a never-ending cycle of negotiations and creating facts on the ground. Thus, the issue at hand is how to counter Zionism and Israel, a settler colonial state that does not recognize or adhere to universally accepted norms of international law and to the articles of the 4th Geneva Convention relating to Palestinians and the Occupied Territories. Part of the answer to this question is expressed in the globally successful BDS movement that has become a very important strategic tool to counter Israel’s propensity and addiction to violating the Palestinians’ basic human rights, never-ending occupation, collective punishment and continued settler colonization of the land. At this point in time, the question to be asked is how to best mobilize Turkish society and member states of the OIC behind the BDS movement. What is urgently needed is to make adopting the BDS movement a strategic decision and an organizational investment for Turkey and OIC member states that can make both a qualitative and quantitative difference in the balance of power in the international arena. Again, I maintain that Turkey and OIC member states embracing of the BDS movement will have an impact on the Palestinian struggle in the long run and, if done correctly, will also lead to strengthening domestic economies and regional cooperation among the represented states. Let’s not be naive and pretend not to comprehend that Israeli strategic planning called for economic penetration of the Arab and Muslim markets and that this has so far been successful on a number of fronts. The idea or the philosophy behind this penetration is as old as Zionism itself, which is centered on forming joint economic and political interests with selected elites in the heartlands of the Arab and Muslim world, while making sure to counter, isolate and militarily neutralize those who oppose such normalization. Even before the signing of the Oslo agreement and the end of the Cold War, Israel had managed to penetrate a number of regional economies, and this has been assisted and accelerated in the post 9/11 period under the rubric of the global war on terrorism. In this context, the war on terrorism translated into an Israeli open-ended war on the Palestinians coupled with cultivating a sizable section of Arab and Muslim elites into a strategic process of normalization and pacification. Israel became an economic and strategic ally in a region that has lost a sense of its history, identity and interests. A similar pattern has also developed among a segment of Arab and Muslim diaspora in the U.S. and Europe through programs like the Shalom Hartman’s Muslim Leadership Initiative, which I wrote about in the past. Many of these incubated projects urged Arab and Muslim world economies to connect themselves at the hip to the Israeli economy and are sold the mirage of a future possibility of successfully entering the global market with the assistance of the “start-up nation” and massive investments. Enter the global market they did, but not as an engine of economic development of future horizons of growth, but rather as a mere intense sweatshop workforce, down-stream assembly lines and marginal commission returns in a heavily dominated tourist, garment and toxic level assembly factories, not to mention the real toxic waste dumping in the case of Jordan. All this and other facets of economic penetration created localized Arab and Muslim elites that lack independence with their capital entangled in a subservient role to Israel’s economic horizons. Parts of the Arab and Muslim economies have become part of Israel’s expanded market and a broad range of investments located in various OIC member states with a thin layer of domestic elites benefiting from it. More critically, the penetration of Israel into Arab and Muslim economies has the intended effects of using third-party logos and manufacturing labels so as to escape and weaken the BDS movement itself. Indeed, this has been the case in the garment industry whereby a number of Arab and Muslim countries have permitted Israeli assembly plants to operate in designated “Free Trade Development Zones” and affix a domestic label to the finished products that are shipped globally. This approach does in fact impact and weaken local economies and production, which the BDS can help counter and provide a much-needed engine for domestic and regional cooperation that is not dominated or eschewed towards the benefit and protection of Israel’s economy. For anyone interested in this aspect of the question, I recommend the examination of Jordan’s economic cooperation and normalization with Israel and the impact on the hospitality industry and the garment and manufacturing sectors. Indeed, buying and supporting local production is part of the BDS movement since strengthening indigenous economic ventures and connecting it to the broader Arab and Muslim markets creates much-needed synergies among OIC member states. Not only is the BDS important in supporting the Palestinians, but it also has the added impact of providing the alternative local products that can help forge stronger social and political bonds within and outside each member state. Let’s look at the Turkish array of available products as part of the BDS effort. With the right BDS strategy in the market, it can effectively make Israeli products inferior once the ethical and moral arguments for Palestine and Jerusalem are included when Turkish, Arab and Muslim consumers are making informed choices. Similarly, across the OIC member states, products created by local economies should be included in the introduction of the alternative in a comprehensive strategic adoption of the BDS movement and principles behind it. Just to be levelheaded, the Israeli information technology sector constitutes the biggest challenge in adopting a comprehensive BDS strategy. In this regard, Turkey, Iran, Malaysia, the Gulf States, North Africa and other OIC member states and supportive countries should develop a long-term strategic partnership focused on the information technology sector. The resources, know-how and ready-made market are all primed to stage such an effort, which in due time can become a major player in the sector. The key ingredient for success is cooperation and a multi-state investment to pool all existing resources to make an impact and dispense with the need to be linked to Israel for the information technology industry. A major challenge for BDS advocates in Turkey and OIC member states will be navigating the current cooperation of Palestinians with Israel under occupation. 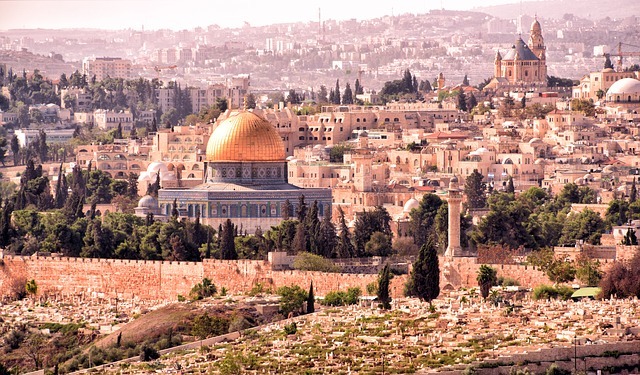 Here, we must deal with the issue head-on and criticism must be levied against those Palestinians who connect their own narrow economic benefits under occupation to facilitate Israel’s penetration in other Arab and Muslim economies. Those Palestinians who are acting as a bridge or rebranding Israeli products to transport them to Arab and Muslim markets and bypass the BDS movement should be challenged at every turn. Certainly, as the West Bank, Gaza and Golan Heights are under occupation they represent a captive market and are highly susceptible to various instruments utilized by Israel, as the occupying power, as well as the U.S. and European states cajoling PA leadership and Palestinians elites to fuse their economy to the one of Israel for supposed confidence-building measures and forging a partnership for the future. One must say that economic development and forging a partnership for the future under direct occupation and Apartheid is an oxymoronic endeavor and supported by parties that first and foremost only look out for Israel’s interests. The Israeli golden cage economic peace is still a cage and only looks golden to those who are not imprisoned inside of it. Israel, as a brand, is tarnished by human rights violations, Apartheid policies, on-going settler colonialism and a total disregard for international laws and the 4th Geneva Convention. Turkish, Arab and Muslim consumers, as well as people across the world, should be able to make their political decisions through their own shopping choices and the money they spend. While Israel and the U.S. are “free” to make unilateral statements, take names and build settlements, conscious and justice-centric consumers across Turkey, Arab, Muslim and world markets will be the ones to determine the outcome, and in the long run justice will prevail. Jerusalem is the occupied capital of Palestine and freedom is coming to the Palestinians, but your role is to make your choice when shopping and making purchases. Choose justice for Palestine over morally and ethically tainted Israeli consumer items, cultural productions and academic cooperation. You might not immediately end the occupation, but you can stop Israel’s economy and Apartheid being empowered and benefiting over the Palestinians.